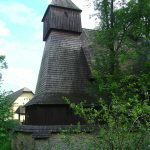 The Roman Catholic Wooden Church of St Francis of Assisi at Hervartov dates from 1499-1500 and is the oldest and best-preserved wooden church in Slovakia. 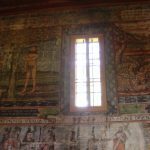 The Gothic pictures and wall paintings dating from 1655 and 1805 are the most valuable parts of its interior. 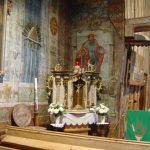 The church at Hervartov, along with seven other wooden churches of the Slovak part of Carpathian Mountain Area, has been included on UNESCO’s Word Heritage List.